This is the third and final of three posts adapted from articles I’ve written for Inside Learning Technologies & Skills magazine. It was published and distributed in the magazine for the Learning Technologies Conference and Exhibition in London 25-26 January 2012. "It's a poor sort of memory that only works backwards,” says the White Queen to Alice. In the previous two articles I addressed some of the challenges learning professionals face in the changing world of work and how they are responding. 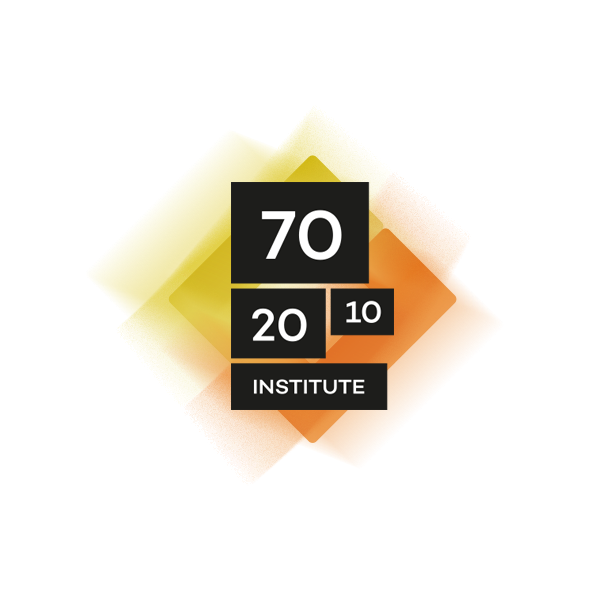 I also looked at some of the approaches an increasing number of organisations are using to exploit the fact that most learning happens in the workplace rather than in the classroom or through structured eLearning courses – especially the adoption of the 70:20:10 Framework. In this final article I want to address the challenge with which many L&D and HR departments struggle. This is how to enrol managers in the practice of people development, how to engage with them, and how to ensure learning activities are aligned with their priorities. Manager support and active participation is vital to develop and support a culture of continuous learning. Arguably the role that managers play is far more important than that of either L&D or HR. The research supports this. It also supports the fact that the ‘whole is greater than the sum of the parts’ when leaders, line managers, HR, and learning professionals align their efforts and each takes accountability for part of a combined workforce capability development strategy. The Mad Hatter’s tea party provides the first lesson. Alice and the Hatter then enter a dialogue that culminates in Alice giving up trying to guess the answer to the riddle, and the Hatter admitting he doesn’t have an answer himself anyway. Alice says wearily to the Hatter “I think you might do something better with the time than waste it in asking riddles that have no answers”. To which the Hatter replies; “If you knew Time as well as I do, you wouldn’t talk about wasting it”. So, what’s the relation to managers and learning? Well, sometimes people feel that their managers are posing riddles just like this for them to try to resolve – expecting them to perform without providing any guidance or feedback, and without appearing to have an answer as to what they expect themselves. Many managers simply don’t set clear objectives and explain their expectations, and don’t follow up and help to embed learning. This has a significant impact on performance. In fact, research carried out by the Corporate Leadership Council/Learning & Development Roundtable showed that Managers who set clear objectives, explain their expectations, and clearly set out how they plan to measure performance have teams that outperform others by almost 20%. Managers setting clear expectations and explaining how performance will be measured. Managers providing stretch experiences that help their team members learn and develop. Managers setting aside time to discuss and reflect and help their team members learn from development experiences. The impact of each of these actions on worker performance is almost 300% greater than through building or teaching necessary knowledge and skills – the core role of the L&D department! This data tells us that the L&D department needs to work very closely with managers if it is to help build capability and provide real benefits. Focusing on building knowledge and skills is simply not enough. It also tells us that experiential learning through ‘work that stretches’ is the most powerful tool we have in the box, and that managers have the greatest influence in providing those experiences. However, even more can be achieved if the L&D department and managers work together. It’s all about providing an integrative environment to encourage development. Here we can learn a little more from Lewis Carroll. Clearly innovation, experience and work that stretched all were important to the ‘Hatter’ as they are everyone, mad or not. Experiences: learning through exposure to new and challenging experiences. Practice: learning through having the opportunity to practice and improve. Conversation: learning through our interaction with others – informal coaching and mentoring, and building social networks inside and outside work. Reflection: learning through having the opportunity to reflect on all of the above and plan further activities that will improve performance further. There is no doubt that experiential learning in the context of work is vital. In the second article in this series I talked about the work of Morgan McCall and his colleagues at the Centre for Creative Leadership. They identified the fact that ‘the lessons learned by successful and effective managers are roughly 70% from tough jobs; 20% from people (mostly the boss); 10% from courses and reading’. In other words, experiential workplace learning represents about 90% of all adult learning. L&D professionals should hold up every away-from-work learning intervention they design and build – whether it’s a workshop, a course, or a programme – and ask ‘how much will this support each of the four elements of learning above – experience, practice, conversation, reflection - once the participants are back in the workplace?’ If the answer is ‘it won’t’ or ‘maybe only some’ and if the away-from-work learning is simply focused on updating information and so-called ‘knowledge transfer’ then it may be better to save your effort, write the information down and distribute it through the best channels available – online, email, paper or parchment. A huge amount of L&D time, money and effort is spent on separating learning from work and expecting magic to occur once people are back in the workplace. My advice is to make every effort not to contribute to that. Learning and work are merging even more now that change is the norm and the rate of change is relentlessly increasing in almost every aspect of life. Learning and work have always been intertwined, but the development of the ‘curriculum’ and set subjects as a model for education in 18th Century Prussia and it’s uptake across the world (the USA was an early adopter) separated them and we’ve been locked into the idea that education and learning consists of a series of formal events ever since. We’re now breaking out of that mind-set and seeing the power of networks, of information sharing, of immersive scenario-based simulations and, of course, the power of learning in context. For learning in context to occur effectively, we need managers who are aware of the role they have to play in learning and development, and we need L&D professionals to build relationships with line managers and support them to achieve their joint objective of improving individual, team and organisational performance. And we need development solutions that are focused on workplace learning and that integrate learning with work. Managers also have a major role to play with formal learning. If they abrogate their responsibilities for people development and expect the L&D department to achieve performance improvement they are simply hoping for ‘magic’ to happen. Mary Broad and her colleagues carried out research in the early 1990s that found the role of the manager and the integration of learning with work were essential to assure performance improvement, even with formal training and development (Broad’s work is well documented in her ‘Transfer of Training’ book). The lesson is that the L&D department can’t do it alone, not even with support from HR colleagues. Broad’s research demonstrated that the single most important factor in assuring performance improvement following off-the-job development activity (a training and development course) was what the manager of the delegates attending a formal learning intervention did before the delegate attended the course or programme. She also showed that what the manager did following the off-the-job development activity was almost as important. Broad’s research highlighted the fact that the manager’s aspirations and needs in terms of the performance of her reports should closely align with the objectives and design of any formal learning course. Otherwise the course will be of little (or no) use. And this doesn’t mean that the L&D department simply needs to carry out a training needs analysis. It means that the manager should have a detailed understanding of any formal development activities designed by L&D professionals, and have thought about how she can build on these through stretch activities, new assignments and challenges, and providing opportunities to practice once the delegate returns to the workplace. Of course, she may also need to carry out some preparatory work with her reports before they attend any off-the-job development as well. There is no point agreeing for the wrong people to attend the right course. This tight-coupling of the manager to away-from-work learning activities pales into insignificance when we turn our focus to workplace learning. Here, the manager’s role is absolute. She’s flying solo. Providing opportunities to apply new knowledge and skills in real situations. Assigning stretch assignments focused on new initiatives. Providing cross-divisional and cross-regional experiences. Arranging co-ordinated swaps and secondments. Creating challenges through assigning greater responsibility. Providing opportunities for team members to reflect and learn from work activities. Many L&D people struggle with the challenge of engaging and enrolling business managers in employee development. Trying to wedge them into a place they don’t really want to be. Yet we know that managers who are focused and effective at developing their people have teams that out-perform those that are not by around 25%. So it’s worth thinking about the best approaches to get managers actively involved in learning and development activities in the workplace. Question 1: Can we talk about your reflections on what you’ve been doing since we last met? Question 2: Can you tell me if there is anything you would do differently next time? Question 3: What do you feel you have learned from your activities since we last met? Some managers ask their reports to keep an ‘experiential learning log’ to record the sessions. Others simply find it a useful way to focus on experiential learning and reflection and, at the same time help identify opportunities for further development. It also helps managers themselves develop their coaching skills. The approach you take is not important. What is important is the fact that, without active support of managers at all levels in your organisation you will struggle to achieve any significant level of success in the area where most learning happens – the workplace. I have always been strangely drawn to the Mad Hatter character, perhaps because he is different in his style, thinking and actions - he is truly diverse! As you have made some insightful observations linking the Hatter to business and educational concepts, I have always been open to difference - not just accepting and encouraging difference in the now but for tomorrow. As Foucault identified how greatly perceptions changed about insanity throughout history, we need to stop being afraid of difference, but embrace it, if we are to progress in our thinking. Human needs healing and restoration of mind and heart from all hidden hurt and the result of personal mal-formation to have clarity of his valuable unique identity, aims, ideas, and communication with others. Thence, he can be more open and have desire and inner disposition to grow continually and maximally by learning continually everywhere including in workplace, to achieve his work goals and life aims. Based on this personal inner disposition, he can grow maximally in accomplishing the learning project and works in his workplace. Moreover, by her or his personal continual growth, her or his works, either individual or collective, must be more successful. He can be creative then make continual innovation. I really enjoyed reading this article. Clearly, I'm a little late to it, but this is certainly a gem. I would have never linked the Hatter to any T&D experience, but this a lovelly analogy. This discourse about managers becoming deeply involved with T&D planning beyond just submitting recommendations and occassional evaluations is extremely valuable and relevant. Historically, it seemed as though learning objectives were not related to anything that was actually happening in the "trenches". They were never connected. Experience, performance gaps and interventions seem to exist independently. Charles, this is a gem. I just read it for the fourth time -- and I find something new each time. Thanks Jay. People managers and line leaders are the absolute key to successfully creating a culture of continuous learning in the workplace. If managers are either not interested or don't have the tools (physical and mental) to enable them to support experiential learning, then the '70' (i.e. the majority) of organisational learning is put at risk.